Hello everyone, how are you all doing today? I hope you are all having a good start to this week. I have been busy trying to promote ChromeGeek.com and so far so good! We still need a couple of more writers to help us, so if you have some spare time and enjoy writing or blogging as they call it these days, please contact us and we will reply within 24 hours. Anyway, on this page you will find the best Photoshop replacements on Chrome, make sure you try at least 3 of these choices, some of you just visit the first two Photoshop alternative without giving the others a chance, myself included lol. Before we give you the Photoshop app on Chrome, lets give you some information about why your Chrome and Chromebook can’t naturally run Photoshop, yet. Can I run Photoshop In Chrome? No, not yet but according to this pcworld article, a full version of Adobe Photoshop is coming to those of you who own a Chromebook. I wouldn’t put too much faith on that, it might take some time before we see a stable version released and Adobe has yet to release an official statement regarding this matter. So in the meantime, the answer is no but lucky for you we have a great list of Photoshop app alternatives for you to try on your Chrome browser or your Chromebook laptop. 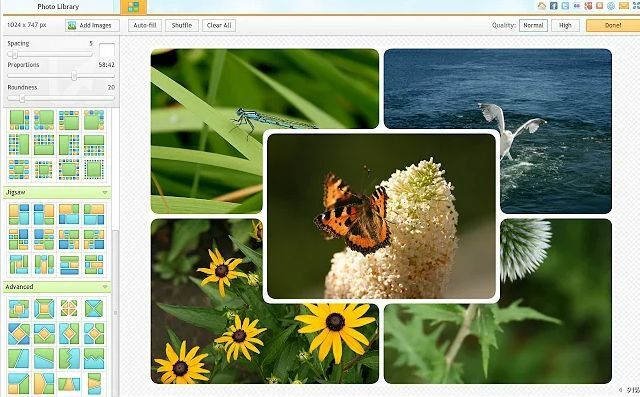 Pixlr presents a full featured photo editor direct in your Chrome browser, no download, no wait and it’s free. It contains lots of the features that you normally see in desktop applications but just one click away. Jump in and start using this tool, no registration required and loads in matter of seconds. Some of the tools included are, red eye reduction, spot heal tool, drawing tools, clone tools, sharpen and blur tools and many more. Some of the filters include, mimic HDR, glamor glow, tilt-shift, Gaussian blur, vignette, noise and lots of more. The Adjustments include some advanced concepts like Levels, Curves, Cross process, Desaturate, Auto levels, Hue/Saturation and Brightness/Contrast. The editor is capable of open PSD files and paste from your clipboard, I also use it on my Ubuntu laptop and I haven’t missed Photoshop since! 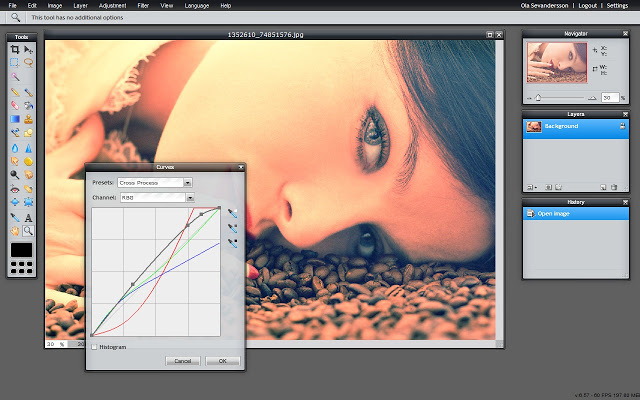 GIMP is a raster graphics editor, primarily employed as an image retouching and editing tool. In addition to detailed image retouching and free-form drawing, GIMP can accomplish essential image editing tasks such as re-sizing, editing, and cropping photos, photo montages combining multiple images, and converting between different image formats. GIMP can also be used to create basic animated images in the GIF format. With its encyclopedic abilities, GIMP is widely considered to be the main functional drop-in replacement for Adobe Photoshop, with a similar feature set and a similar user interface. This application is powered by rollApp cloud service, simply login and you are ready to go! 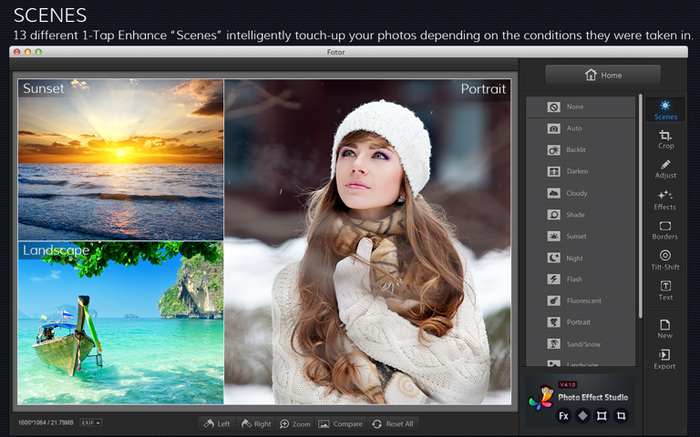 Fotor is another online photo editing & photo creatives made simple. Fotor’s free photo editing features including photo collage, photo frames, photo effects, photo retouching, color splash, tilt-shift, clip arts, text, photo cards, online HDR and more. It looks kind of basic, but give it a try, this is one of those ‘don’t judge a book by it’s over apps’. Psykopaint is an amazing photo painting app where you pick one of the 6 brushes provided and start painting while the colors are selected automatically for you. Psykopaint offers some unique and rather unusual results. 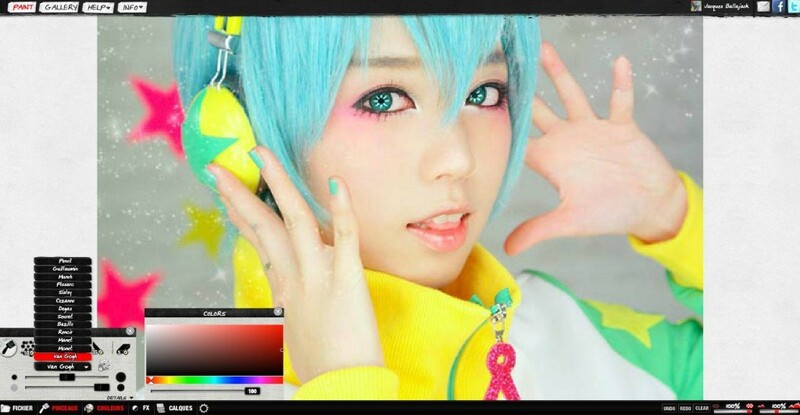 Unlike photo-editing softwares based on filters, it works by sampling colors of the original photo to create a new image. Psykopaint offers an alternative to image manipulation techniques and could be considered as the missing link between photo-editing software (such as Photoshop) and painting software ( such as Corel Painter).